What repairs or improvements should I make before listing my home for sale? 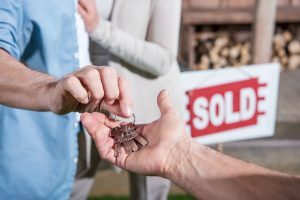 If you’re preparing to sell your home, you want to be sure you get the most value out of the sale. We spoke with Maureen Campbell of Premier Transitions, a nationwide specialist in helping seniors relocate, for tips to make each part of your house ready for its close-up (and best offer)! So, what should you do if you decide that the paint in your house needs a change? Maureen said, “If your home has personalized colors or wallpaper, paint is a cheap and easy way to add value to your home. In addition, it makes the home smell and look clean and new.” Maureen advises to choose neutral colors – not a pure white, but an off-white with a gray tint, as gray is the preferred wall color of buyers in today’s market. Finally, trim décor should be a pure white. Regarding carpet, Maureen noted that your realtor will know the area best and know which types and colors of carpets are most appealing for young buyers in your local market. One simple approach that Maureen shared is that if the carpet in your house is in good condition, you can opt to have it professionally cleaned instead of replacing it, so that you can price accordingly. Prospective buyers can then choose to keep the like-new carpet, or replace it on their own. If you do opt to change the carpet, Maureen recommends neutral colors that do not show dirt. Declutter shelves and empty closets. Buyers want to see the usable space. Open (or remove) drapes and let the sun shine into the home. Remove anything but sleep-related items from bedrooms. Beds should have appealing, neutral pillows and throws. Make bedrooms more spacious by getting rid of childhood items and furniture. When selling a home, the kitchen is usually key. Cabinets, countertops, appliances and lighting are usually the most important factor, and Maureen has plenty of tips! Like with the walls, Maureen noted the importance of color: “Paint can work wonders on dated cabinets. White will appeal to most buyers.” Aside from that, as it relates to the downsizing process, cleaning (appliances, countertops, cabinets, flooring) and decluttering are the important steps in preparing your home for sale. If you’re planning on replacing appliances in your house, Maureen advises that stainless steel is a safe bet. If you don’t want to invest in brand-new appliances, many appliances offer stainless steel replacement finishes, which can be a budget-friendly way to add value and buyer appeal. Maureen recommends—at the very least—to make sure that all the appliances are functional and clean. One frequently overlooked aspect of home staging that can boost appeal in minutes is cleaning or replacing outlet covers throughout the house. Maureen recommends using a simple design and clean white color. When a prospective buyer arrives to tour your house, one of the first things they will notice is the landscaping. On this topic, Maureen advises, “Make sure your lawn is groomed, bushes are trimmed back, and the trees are in good shape. You want to show off your house, so stand at the end of the driveway and envision how it will look to passersby. Does it look inviting? Minimize anything that looks like work – put away lawnmowers, tools, etc., and bring out the things that look like fun instead!” Additionally, Maureen notes that a well-kept garden can reveal to buyers a lot about the manner in which the owner cared for the entire property. Brighten the porch with fresh paint. Paint the front door one of these colors: red, black, blue or stain. Make it stand out! Power wash the house exterior, walkway, steps, porch and driveway until everything sparkles. Make sure the locks and doorbell function properly. Declutter the garage as much as possible to show space for parking cars. Paint the interior of the garage (white is a good choice). Preparing to move at any stage in life can be a daunting task, but fortunately, plenty of resources exist to make your experience seamless. Maureen and the team at Premier Transitions can help with every part of the process by providing guidance that’s tailored for seniors. If you’re thinking about rightsizing, let our free guide help you understand the process, and explain what you gain by transitioning to a better-fitting home. If you do decide to make the move to a senior living community, we hope you’ll think of us at The Knolls. Click here to contact us!